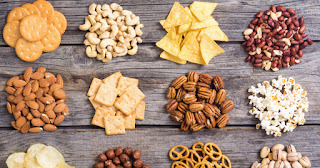 The Life Extension Blog: Snacking 101: What Should We Snack on, and When? Snacking 101: What Should We Snack on, and When? Is it a good time for a snack? Patients often ask what time they should snack and what makes a good snack. The short answer to these questions: Snack when you’re hungry if a meal is some time away, and choose the foods lacking in your diet. If your calorie needs are high, you’ll probably need to snack at least a couple of times each day to fit in enough food. Otherwise, maybe just once, or perhaps not at all. Healthy adults rarely need to eat between meals for good health or weight loss, but there may still be good reasons to do so. When it comes to appetite, the results are a bit murky. One review of several studies found a slight benefit to managing hunger when people ate six meals per day instead of just three. It was also found that eating less than three times daily is more likely to leave you hungry. [ii] You, however, should expect your experience to be unique, and it will probably vary from day-to-day depending on your activity level, food choices, and more. Even though researchers have hunted for the ideal pattern of eating frequency, they haven’t found one[iii] because there probably isn’t one (no “one size fits all”). You’ll benefit from a morning snack if breakfast and lunch are several hours apart. If you’re hungry shortly after breakfast, revamping your morning meal may be more important than planning a snack. Instead of racing out the door with nothing more than a banana or a cup of yogurt, eat a balanced breakfast of at least three food groups. Pair the banana and yogurt together and add some walnuts, for example. Or make an egg sandwich with tomato and avocado on whole grain bread. If you’re the kind who can’t stand much food early in the morning, start with a small snack such as a piece of fruit. Eat your real breakfast later when your stomach is more eager. I get pretty hungry between my midday lunch and dinner several hours later! So an afternoon snack is more the norm than the exception. I prefer to eat when I get hungry, but sometimes that’s not practical. I might eat earlier to prevent that crazy, painful hunger later on. Pulling yourself out of an afternoon slump is not a good reason to snack. If you crave a mid-afternoon nap, try to figure out why and think of a few possible solutions. Any of these could be the problem. Most of us won’t need an evening snack unless we eat dinner very early. But do snack to replenish a tough evening workout. Moderate exercisers can probably skip a bedtime nosh, but those who train hard should eat, especially if their calorie needs are high. Make yourself a Greek yogurt and frozen fruit smoothie to get the necessary carbohydrates and protein to repair your muscles. One caveat about evening snacking: If you experience heartburn or reflux, finish eating at least three hours before going to bed. Unless you’re very active, your snacks should range from about 100 to 250 calories each. Athletes may need much more. The favorite snacks in North America are chips, chocolate, cheese, and cookies, according to a Nielsen report. [iv] Yet the Dietary Guidelines for Americans identifies fruits, vegetables, and dairy as the most under-consumed food groups. [v] It’s smart to create a list of 5 to 10 snacks to have on hand. This ensures you’ll choose a healthful option when hunger strikes. Your own ideas are probably better, but here are some to get you started. Snacking is a popular pastime. Let’s avoid snacking for recreation and stick to snacking to manage hunger and to nourish our bodies. The quality of your food and your total calorie intake are more important than the number of times you eat each day. About: Jill Weisenberger, MS, RDN, CDE, CHWC, FAND is an internationally recognized nutrition and diabetes expert. Through writing, speaking, one-on-one coaching and working with the media, Jill empowers people to grab control of their health. She is the author of the four books including the best-selling Diabetes Weight Loss – Week by Week and the new Prediabetes: A Complete Guide. 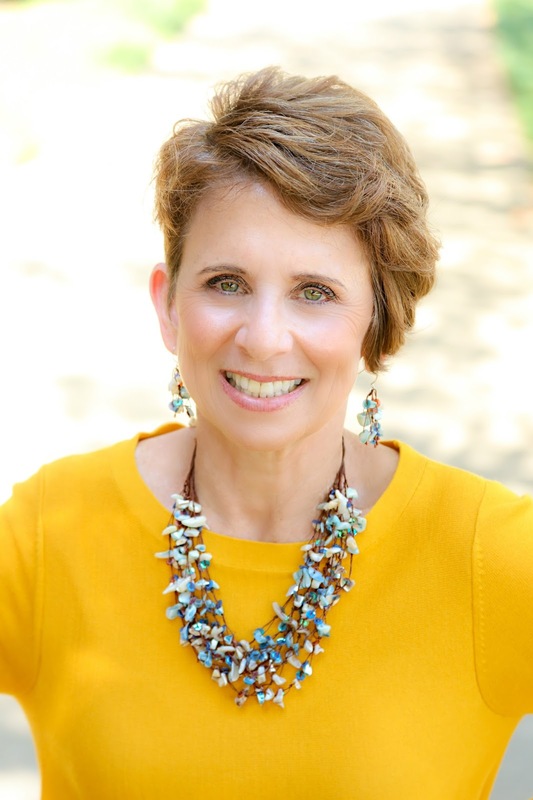 Jill has a private practice in Newport News, VA and is a consultant and spokesperson to the food industry, as well as a panelist for the US News & World Report Best Diet Rankings. She is contributing editor to Diabetic Living magazine and a contributor to a variety of magazines and websites, including Kids Eat Right, Environmental Nutrition and Food & Nutrition magazine. Find out more at jillweisenberger.com and follow her on Twitter and Facebook. [i] Bellisle F, McDevitt R, Prentice AM. Meal frequency and energy balance. Br J Nutr. 1997; 77(suppl 1):S57-70. http://www.ncbi.nlm.nih.gov/pubmed/9155494. [ii] Leidy HJ, Campbell WW. The effect of eating frequency on appetite control and food intake: brief synopsis of controlled feeding studies. J Nutr. 2011; 141(1):154-7. doi: 10.3945/jn.109.114389. [iii] McCrory MA, Campbell WW. Effects of eating frequency, snacking, and breakfast skipping on energy regulation: symposium overview. J Nutr. 2011; 141(1):144-7. doi: 10.3945/jn.109.114918. [iv] The Nielsen Company. Global consumers nibble, nosh and snack their way to big sales. Nielsen website. http://www.nielsen.com/us/en/insights/news/2014/global-consumers-nibble-nosh-and-snack-their-way-to-big-sales.html. Updated September 30, 2014. [v] U.S. Department of Agriculture and U.S. Department of Health and Human Services. 2015–2020 Dietary Guidelines for Americans. 8th Edition. Washington, DC: US Government Printing Office; December 2015.